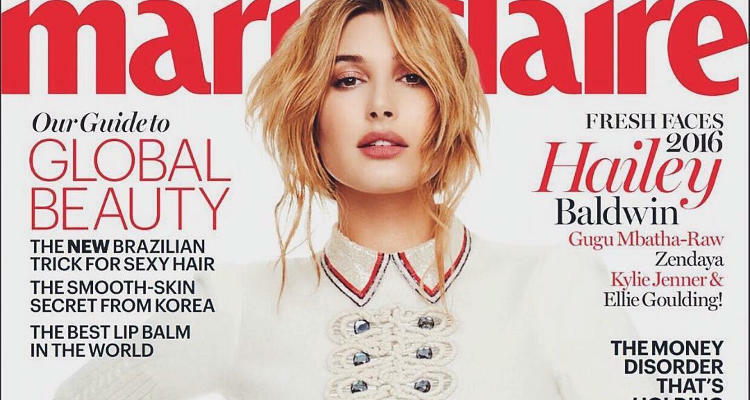 Hailey Baldwin Tells Marie Claire How Dating Justin Bieber Was Hard! Everyone remembers ushering the new year a bit differently as we were all taken aback when photos of Justin Bieber and Hailey Baldwin “hanging out” together went viral. It’s been a month since Bieber and Baldwin called it quits. And, Hailey Baldwin has now opened up about her “Bieber” love in a recent interview for Marie Claire. Keep reading to see what the 19-year-old model says about dating Justin Bieber! When you look back at the times when Hailey Baldwin was dating Justin Bieber, it will remind you of how the young Hollywood starlet shared some adorable photos of Justin on her Instagram. It’s sure to say that a week before this happened, very few people knew who Hailey Baldwin was. And, within hours after posting those photos, everybody got to know who the young daughter of actor Stephen Baldwin was. Hailey Baldwin’s Instagram photos on January 1 proved that Justin Bieber had spent New Years with her. It seems dating another celebrity was difficult for Baldwin, who herself hails from a popular Hollywood family. Being the daughter of actor Stephen Baldwin and the niece of Hollywood star Alec Baldwin’s, Hailey got even more attention dating the 21-year-old pop star. “You have to have really thick skin and be very strong. You have to focus on the person and nothing else,” Baldwin said. She continued to say that she liked Bieber more as a person than as a celebrity. A few weeks before today, in an interview with GQ, Justin Bieber told the magazine how he and Baldwin decided to break up. Bieber said, “I don’t want to put anyone in a position where they feel like I’m only theirs, only to be hurt in the end.” Both ways, it’s pretty clear that Bieber and Baldwin amicably parted ways as they did not want to end on a bad note. Baldwin, who was introduced to Bieber by her close friend Kylie Jenner, still wishes good things for the pop star and keeps a good rapport with him even today.